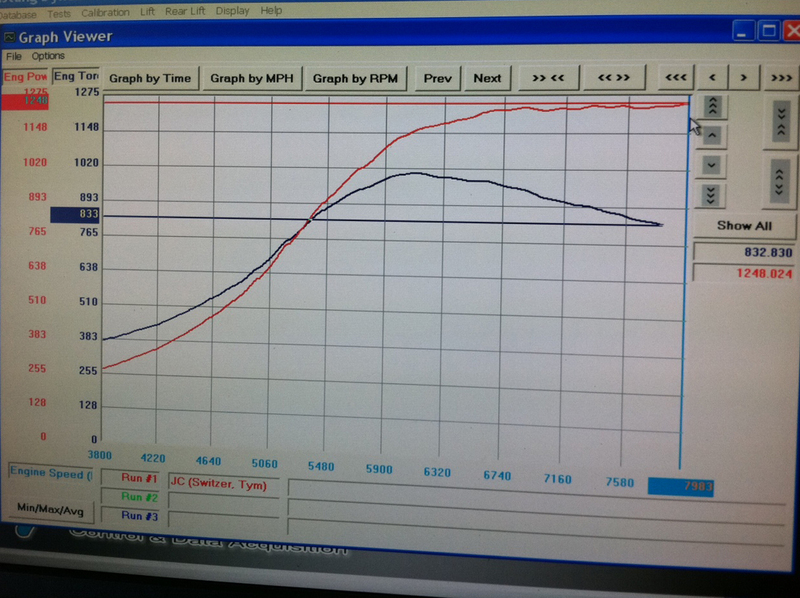 1248 AWHP? One thousand two hundred fourty eight all wheel horsepower. 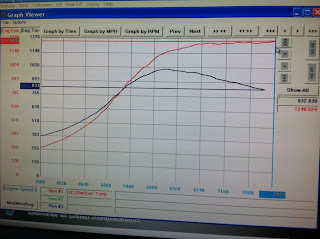 That is what the latest beast from the Switzer Performance shop laid down on a Mustang dyno in Ohio. Thirty eight psi of boost though a couple of "large" turbos. After a couple of other shops have had some issues with sleeved blocks, Switzer has decided to go a bit of a different route, and runs the VR38DETT without steel sleeves in it. They think that this is the way to go, and they have a dyno chart to prove it. They should be running the car at the drag strip soon, seeing if they can get it quicker than AMS's 9.0 pass. Check out the video below.